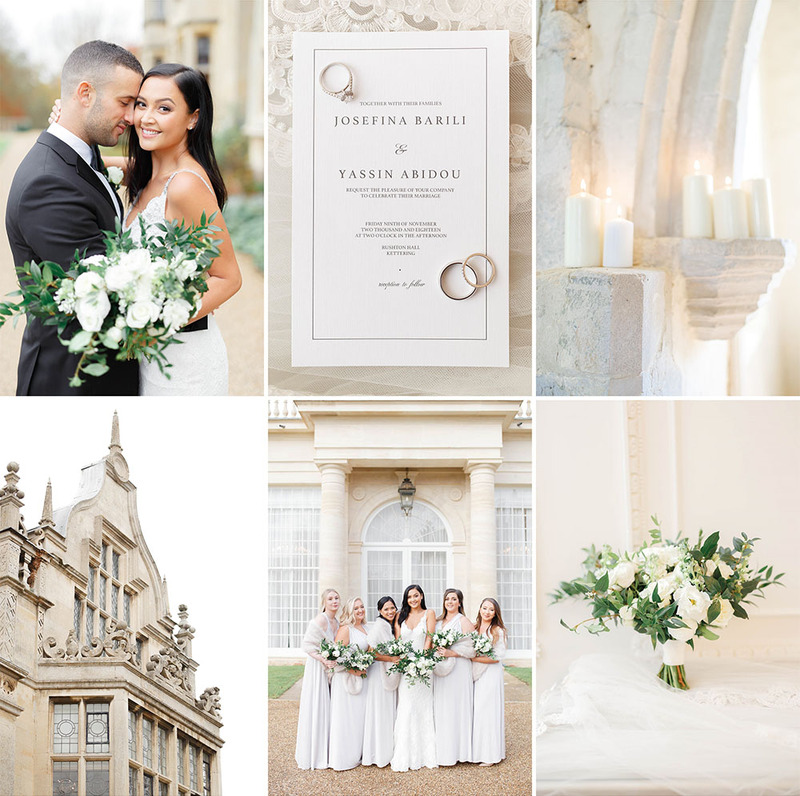 Our approach to weddings is unique – we live for beautiful moments & light which means we carefully choose our angles and backdrops accordingly to create wedding photographs that are light, airy and full of emotion. 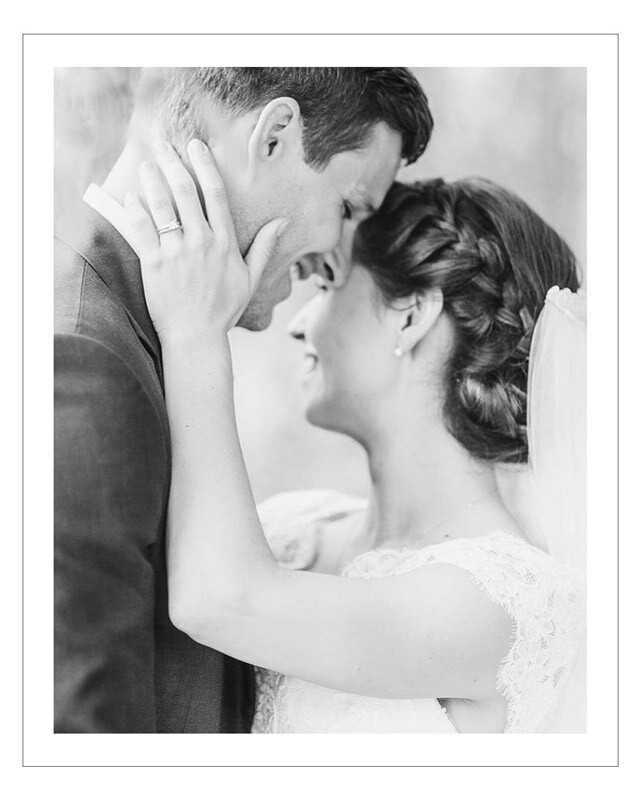 We focus on capturing natural, candid photographs that tell a story of your wedding day – these are usually the most important wedding photographs that couples treasure. It could be the moment during the ceremony when your parents start to tear up with pride, or your friends going absolutely crazy on the dancefloor – weddings are full of these fleeting moments, and having two photographers means we can preserve more of these for you! 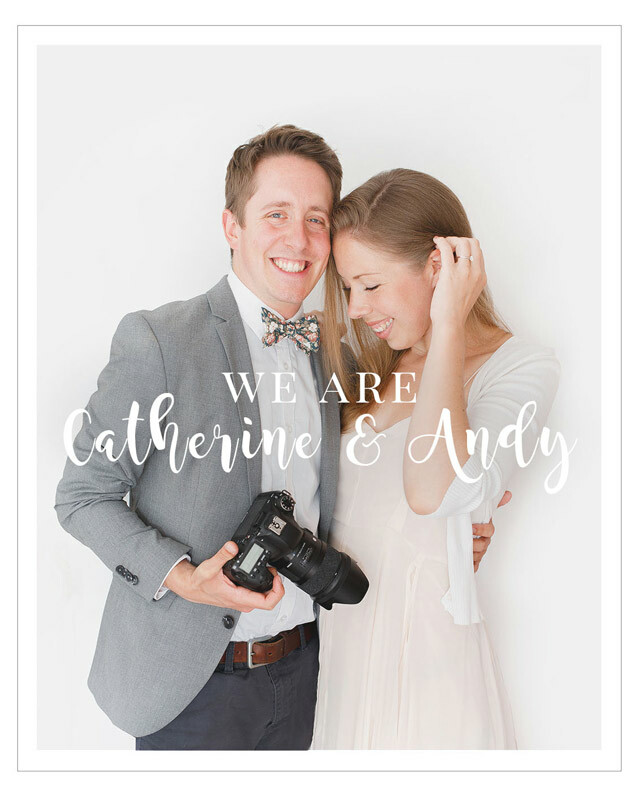 Catherine usually starts her day photographing the bridal preparations, while Andy spends the morning with the groom. Throughout the day all of the key events are captured from at least two angles without the need to move around and distract from the formalities. Inspired by beautiful light, we will also take the time to compose beautifully lit, genuine and natural looking portraits of the two of you! We want to keep these couple portrait sessions as relaxed as possible and make sure you both feel at ease – we want you to love every second of your wedding day! We’d love to hear more about your plans in order to offer you a precise quotation! Quoted pricing includes coverage by both Catherine & Andy, high resolution images, online gallery as well as all of our travel & accommodation. We always meet all our couples, either in person for a cup of tea or on Skype. It’s a lovely way to get to know each other, answer any questions you may have and discuss what you can expect from us in more detail. We want you to feel completely at ease with us once your wedding day comes around! We’d love to hear from you so please don’t hesitate to get in touch. 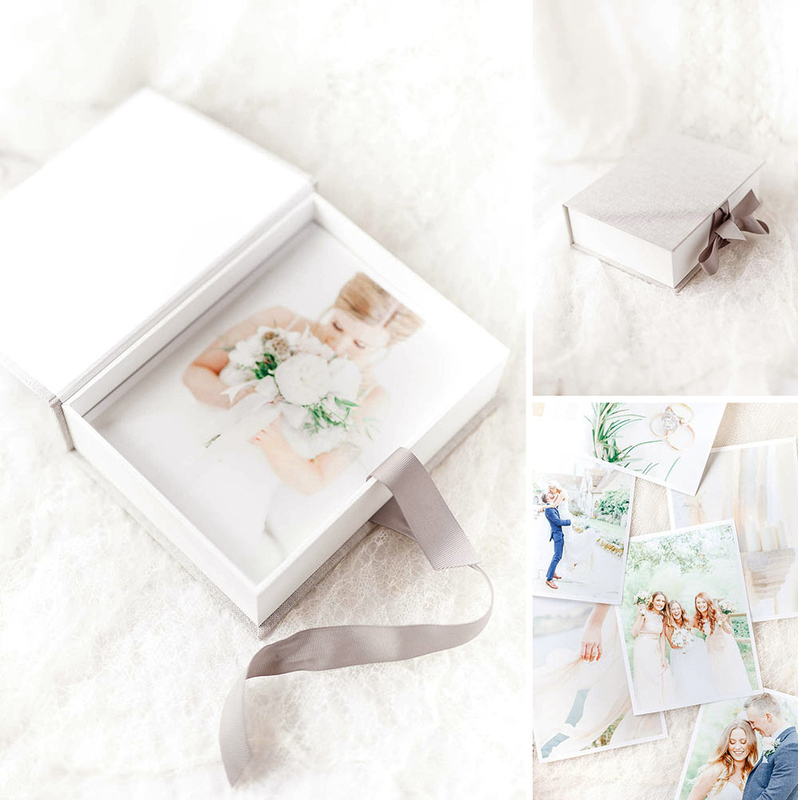 The perfect way to cherish and share your wedding photographs! Just imagine one of these sumptuous albums out on your coffee table for friends & family to enjoy. Our Fine Art Album is a clean, elegant, leather album which comes in a stunning array of colours.The luxurious matte pages made from Giclée paper lay perfectly flat when open, with printing possible from edge to edge and across the central seam. They are square, and are available in a range of sizes. Prices from £290. Nothing beats the feeling of holding your weddings photographs in your hands. These romantic fine art prints are a beautifully tactile way of preserving your memories for future generations! We love the idea of your grandchildren discovering the magic of your wedding day as they look through these in years to come. Our heirloom print box is made of grey linen, and closes softly with ribbon. Inside you will find no fewer than one hundred stunning 6”x8” prints! Cost of one heirloom box including prints is £190. Our heirloom print box is made of grey linen, and closes softly with ribbon. Inside you will find no fewer than one hundred stunning 6”x8” prints!